NineMinMax! An Exciting New Course Earns the KRI Seal of Approval. Did you know that 2 out of 3 employees suffer from stress at work? Did you know that 1 in 10 employees are suffering with burnout and that these figures are predicted to increase to 1 in 5? Yikes! I did not know that, but actually it doesn’t come as a big surprise. Life is fast-paced and high-pressured, and we are all feeling the effects of it. I personally deal with it by practicing Kundalini Yoga and it only makes sense that this could be the solution for everyone. 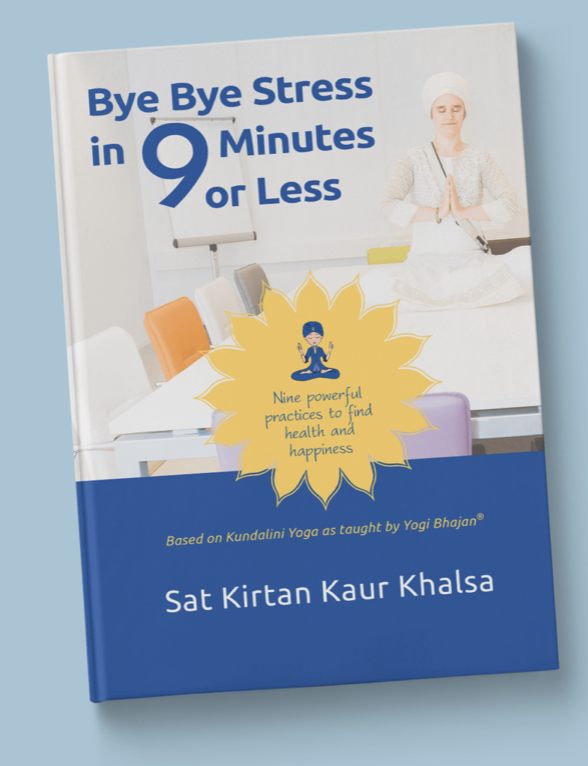 Sat Kirtan Kaur is the celebrated author of the book, Bye, Bye Stress in 9 Minutes or Less. 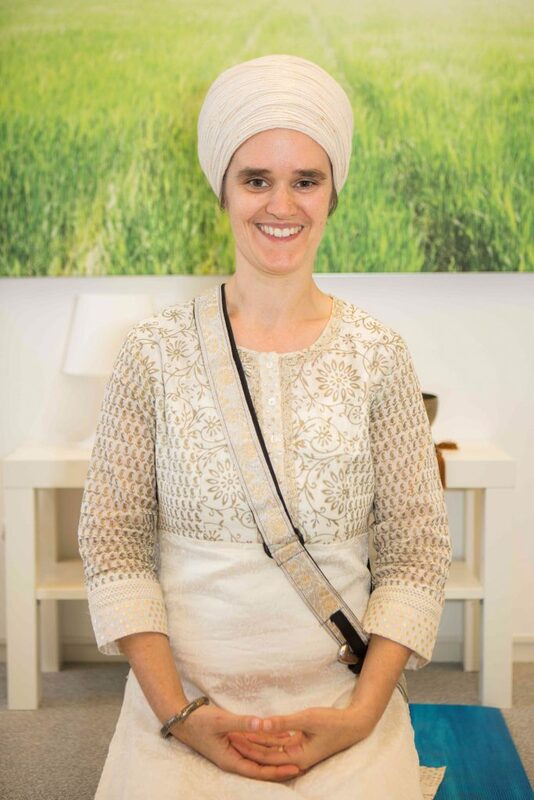 In her ground-breaking approach, Sat Kirtan brings Kundalini Yoga to the workplace and shares her knowledge and practical wisdom on managing stress and maintaining a healthy work-life balance. With her new KRI Approved Specialty Course, NineMinMax, she lays out, in a step-by-step format, how to be successful as a NineMinMax Yoga Trainer. This nine-week online course prepares you to teach people how to handle stress and find satisfaction in a hectic business environment. If you are a yoga teacher and would like to expand your service into the business world, this training will take away any doubt or questions you have about how to bring Kundalini Yoga to the corporate environment. Best of all, it really works and the benefits are self-evident. Since 2005, Sat Kirtan Kaur Khalsa has been pursuing her mission to bring health and happiness into the workplace with Kundalini Yoga. Sat Kirtan knows very well the demands, stress, and challenges in the business environment, having worked at the head office of a major financial institution in Amsterdam. With clarity, depth, humor, and compassion, she shares her wisdom and experience with participants from around the world. A new course will be starting October 1st. Depending on your timezone, you can choose to join the sessions from 09.45 – 12.15 CET or from 20.30 – 23.00 CET. Early-bird registration ends on September 15th, so checkout this wonderful course now. Expand your teaching opportunities and heal the business world with Kundalini Yoga! For more info and registration visit her at NineMinMax or send Sat Kirtan an email. Specialty courses are not extensions of KRI current Teacher Training Programs. 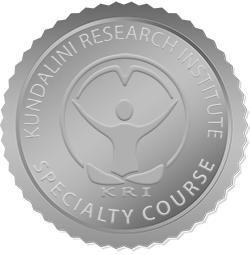 KRI Specialty Course approval does not mean that a graduate of the specialty course can teach Kundalini Yoga as taught by Yogi Bhajan ®. Specialty Courses are not a substitution or enhancement for KRI Teacher Training Level 1, 2 or 3.